Admittedly, farmland in the U.S. has its share of problems. These once ordinary plots of land have become the darling of alternative investing, attracting hedge funds and wealthy investors into bidding wars that are pushing farmland values into bubble territory. But things are much worse in China. 1. 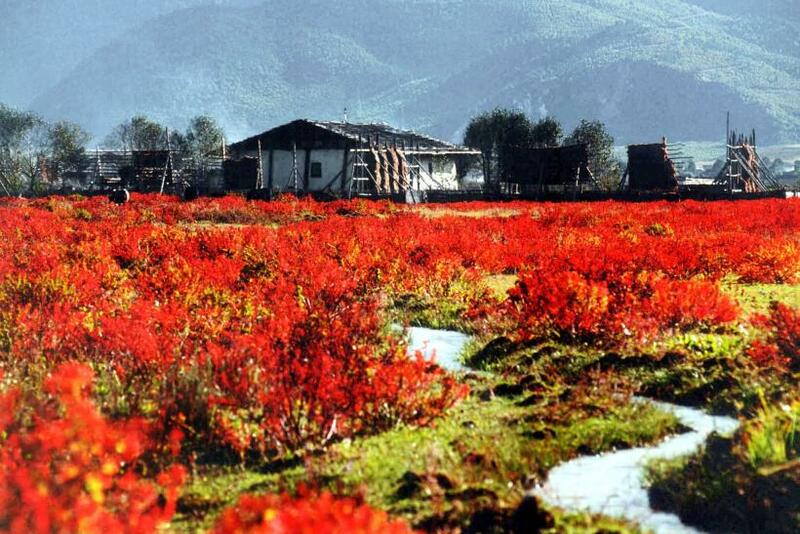 China's farmland is shrinking. China has roughly a fifth of the world’s population but only 7 percent of its arable land -- a share that is shrinking in the face of rapid urbanization. The U.S. has six times the arable land per capita as China, which has just 0.09 hectares of arable land per capita -- less than half of the global average. Each year between 2000 and 2008, China saw 1 percent of its agricultural land -- the equivalent of the Netherlands and Belgium combined – engulfed by factories. In the past three years, China’s total area of arable land has been kept steadily above 1.82 billion mu (121.6 million hectares), according to China’s Ministry of Land and Resources. In the face of declining arable farmland, the country tried to make up the difference by terracing hillside and converting parks and cemeteries to farms and creating new land in waterways. Beijing set a “red line” demarcating that its arable land never falls below 1.8 billion mu – the area currently needed to feed the country’s 1.35 billion people. We’ll all be watching. 2. 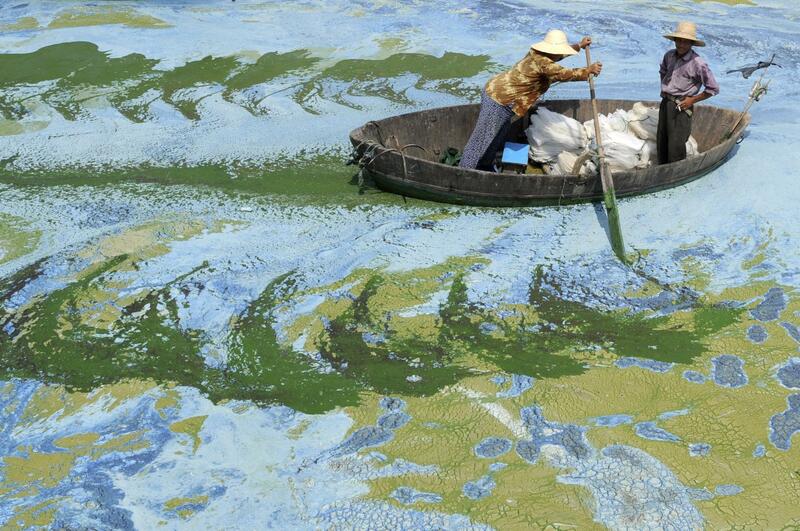 A fifth of China's farmland is polluted. Industrialization has turned much of the Chinese countryside into an environmental disaster zone and farmers are growing crops that they wouldn’t dare to eat. According to an FAO/OECD report, 40 percent of China's arable land has been degraded by some combination of erosion, salinization, or acidification -- and nearly 20 percent is polluted, whether by industrial effluent, sewage, excessive farm chemicals, or mining runoff. A village in the southern Chinese province of Guangdong has become so polluted that its only river has been changing into a rainbow of colors. 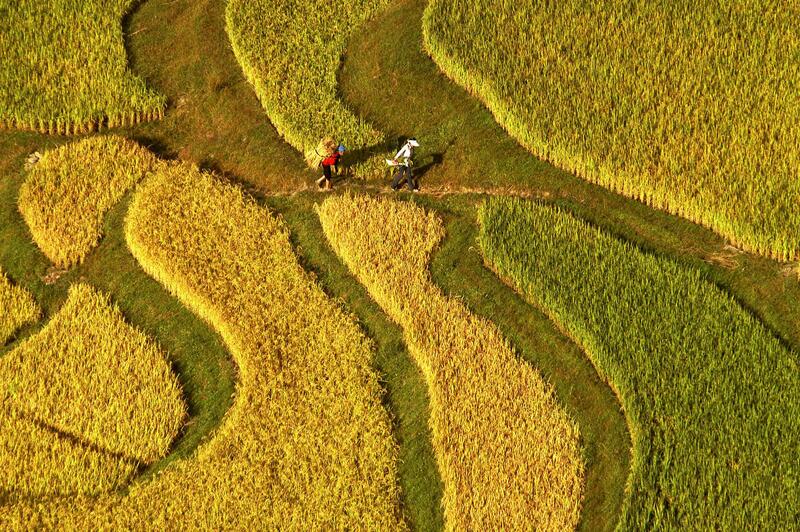 Xiaojin, in Guangdong province, has traditionally relied on farming. Factories that process relatively cheap stones sprang up after the government took away some of the land in 1993. Unregulated by the local government, waste from coloring is allowed to pass directly into the river. 3. Overuse of fertilizers is imperiling food supply. 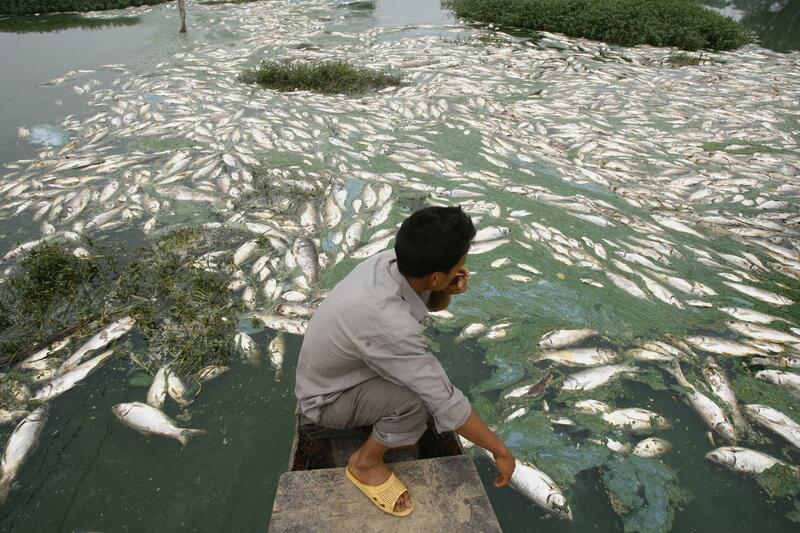 Another source of pollution is the overuse of chemical fertilizers. 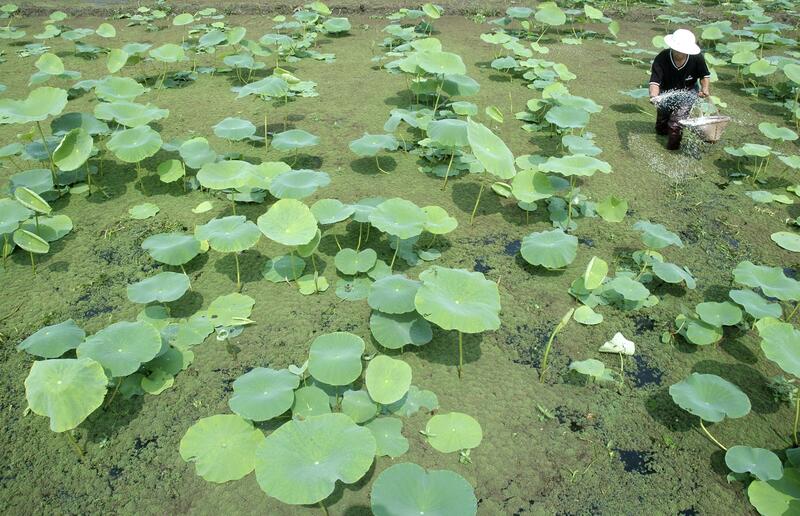 Guotai Zhuang, head of the ecological department at the environment ministry, said during a news conference in April that only 35 percent of the fertilizer used in China was being properly absorbed by crops. The remaining 65 percent, he said, was being discharged as pollution that was seriously tainting China's farmland. Between 2000 and 2011, the use of chemical fertilizer -- driven by the country's exploding demand for staples such as rice -- rose 38 percent, to more than 57 million tons a year, according to the National Bureau of Statistics. Such growth far outpaced the growth of total irrigated farmland, which rose only about 15 percent during the same period. In addition, heavy use of nitrogen fertilizer will cause pH levels to drop, turning soil acidic and less productive -- a problem rampant in China. According to a 2010 Nature article, the acidification has already lessened crop production by 30 percent to 50 percent in some areas. If the trend continues, some regions could eventually see the soil pH drop to as low as 3. “No crop can grow at this level of acidification,” Fusuo Zhang, a soil and plant scientist at the China Agricultural University and lead author of the survey, told Nature. 4. China considers its soil problems "state secrets." In one of the recent food scandals in China, almost half of the rice tested in the southern Chinese city of Guangzhou was found to have high levels of cadmium, a heavy metal that damages internal organs and causes cancer. The rice was being served to unsuspecting diners in restaurants around Guangzhou. Cadmium-tainted rice usually occurs because the area where rice is grown is heavily polluted or because farmers use too much fertilizer for their crops. China loses $3 billion a year to soil pollution. No ministry is accountable for regulating soil pollution, and earlier this year, the State Council pushed back setting up a soil pollution prevention system from 2015 to 2020. 5. Farmers can’t own land in China. 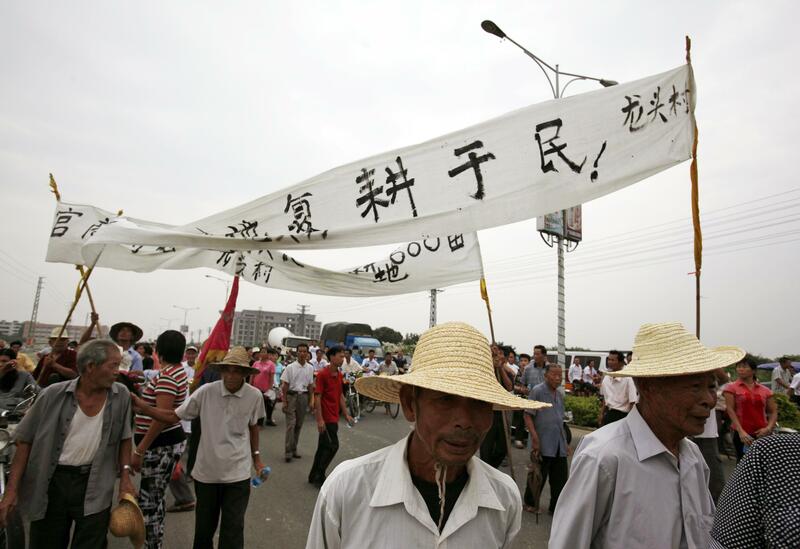 Chinese farmers don’t actually own their land; they only have the right to use it. All land in China is still owned by the government. The current economic system allows local government and developers to make vast profits from one-sided land deals with farmers who have little legal ability to resist. Moreover, development boosts local tax revenue and output -- both measures by which government officials are judged for promotion. Thus, huge tracts of agricultural land are being lost to factories, residential areas, highways, railroads, industrial parks and golf courses. Compensation for farmers is based on the agricultural value of the land. A 2011 survey of 17 Chinese provinces by Landesa found that, on average, compensation governments paid to farmers was just 2 percent of the land's market value. Nationwide, sales of land acquired cheaply from farmers generated 26 percent of local governments' revenue in 2011, Ministry of Finance data showed. 6. The number of people working in agriculture continues to fall rapidly. 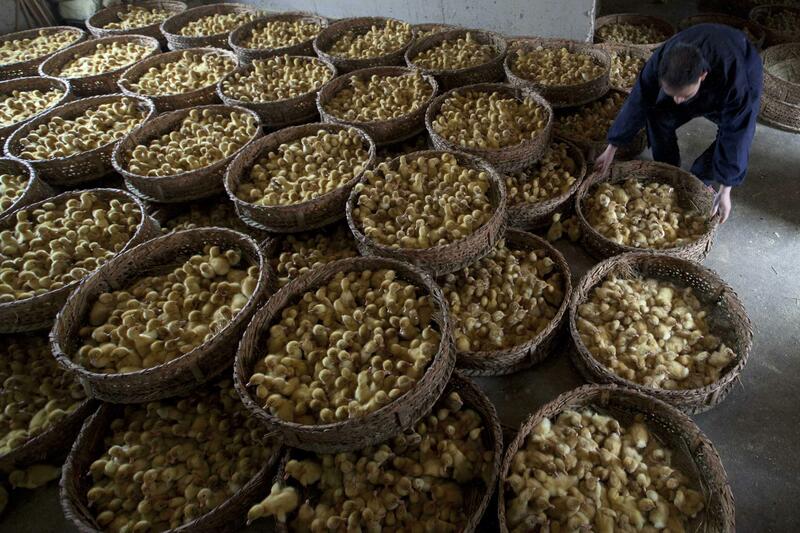 In 1990, 55 percent of China's workforce was employed in agriculture. Two decades later the figure was 33 percent and by 2020, just a quarter of employment will be in farming. 7. As a result of everything discussed above, farm productivity in China is very low. In fact, South Korean farmers – who have less water and land but use more machinery -- are 40 times more productive than Chinese farmers, according to Deutsche Bank's Michael Spencer. 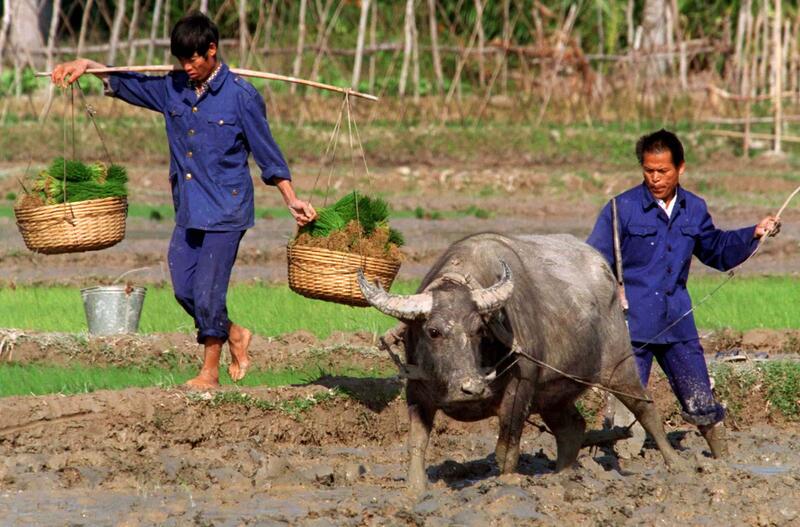 Chinese farming is very labor-intensive and far less mechanized than South Korean farming. And for China's farmers, precarious land rights mean little incentive to invest in improving agricultural output. Moreover, the inability of farmers to borrow against their land (since they don’t own it) largely limits the scale of farming. Chinese farmers rely mostly on informal credit by taking loans from family and friends and that’s not going to help them buy a combine harvester.